THC tinctures are just one of many smoke-free cannabis creations. While they are more refined now, these concoctions have been a staple of medicine for thousands of years. China, Egypt, Greece, and the Middle East all were pioneers in this arena. Until 1937, tinctures were extremely popular. Recognized for their medical value, they graced the shelves of pharmacies everywhere in the U.S. Thanks to ongoing research (and legal changes), we understand cannabis better than ever. THC tinctures are now easy to mass produce and customize for various medical or recreational needs. However, like any drug, patients need to know what they are doing. Tinctures – while effective in many ways – could fail to work properly if misused. Learning what THC tinctures are and how they work is the first step in getting the most out of this oral cannabis. Strength: Contains: 8.5mg of THC per ml + 8.5mg CBD per ml. Strength: 1000mg THC – 20mg of THC per ml. Each pen contains 250mg of THC distillate mixed with natural terpenes. Put simply, THC tinctures are alcohol infused with tetrahydrocannabinol (THC), the psychoactive ingredient in marijuana. With the exception of hemp, all cannabis strains contain enough THC to cause impairment. Modern tinctures are an excellent medium for marijuana. Thanks to today’s growing techniques, cultivators can create tinctures of varying – but consistent – strengths. It should also come as no surprise that tinctures are highly popular among non-smokers. A lot of people confuse tinctures and oils, or use the terms interchangeably; however, they are completely separate products. First, tinctures are alcohol-based, while oils use coconut oil or medium-chain triglycerides (MCTs) to carry the THC. Second, tinctures work when taken directly or added to food. Delta-9-tetrahydrocannabinol oils, on the other hand, work through direct ingestion. It is also possible to infuse recipes, such as brownies, with oil. Some smoke cannabis with a vape pen or complex vaporizer. 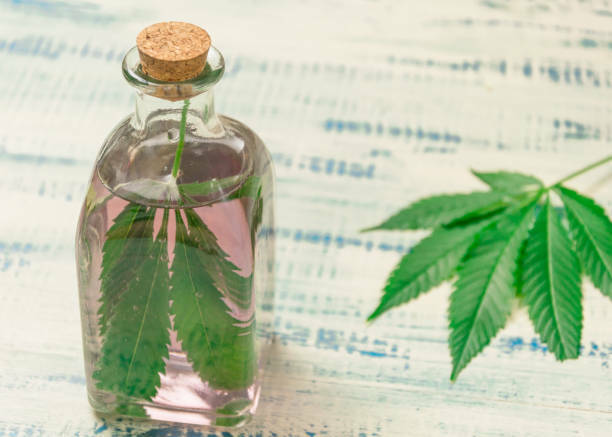 There are some THC tinctures designed as additives to e-liquid, but these have to swap an alcohol base for propylene glycol or vegetable glycerin. THC isolates are rare (unlike CBD isolates, which are common); however, if a potential consumer happens to come across this product, it is best to stay away. An isolate is a very pure cannabinoid extract. It strips away extra compounds, specifically terpenes. Despite being pure, the missing terpenes weaken the tincture. It all comes down to the “entourage effect”. This is a synergistic relationship between cannabinoids and terpenes. Both of these groups are more effective when used together. The best option is full-spectrum. Unlike isolate, the THC infusion also includes terpenes in its formula. Consequently, the effect is much stronger. THC tinctures do not have their own special strains. They use dry herb, just like smokers. While the lines are now frequently blurred, sativa and indica varieties each naturally provide a certain experience. Hybrid plants also exist, opening the door for mounds of creativity and modification. Understanding these strains is critical if users want to get their desired medical or recreational effects. Sativa strains grow tall and thin, with high THC and low CBD content. This strain is known to be very stimulating. It sparks bursts of energy and creativity. Working on projects, exercising and attending social events are all compatible with sativa. Medical patients use it for many different reasons. Most notably, sativa is effective against depression, anxiety, and chronic pain. 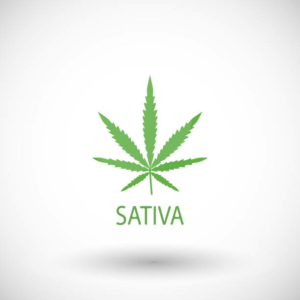 Sativa also increases serotonin – a crucial brain chemical that affects things like mood, learning, and sleep. Aside from being lower in stature, indica plants also carry less THC and more CBD than sativa. Indica is, therefore, the best source for users or recipients who want relaxation over euphoria. Aside from its physically and mentally calming effects, patients use it to stop nausea, handle acute pain and stimulate appetite. Like sativa, indica also affects brain chemistry by increasing dopamine – a substance that regulates feelings of pleasure and rewards. As the label implies, hybrid strains are a cross between indica and sativa. This often results in entirely new experiences and effects. Terpenes, for instance, can share the same strain, rather than remain in separate plants. Because hybrids are mixed, THC and CBD content could go in either direction. It all depends on the two (or more) plants involved. Thanks to hybrids, however, the industry can design new and interesting strains, providing an appropriate product for anyone. Again, THC tinctures can work as a food additive or when ingested directly, just like their twins cannabidiol tinctures. There are three specific techniques, each with their own set of advantages. Sublingual delivery is by far the best method for those who need fast effects. Simply use the eyedropper to place a desired dose under the tongue, hold it there for about 90 seconds (or as long as possible), then swallow. The THC absorbs through the mouth tissue and into the bloodstream. Because some of the THC enters the circulatory system directly, users experience its effects within 20-30 minutes. This technique is as simple as it gets. Simply place a few drops onto the tongue, then swallow; however, the THC needs to be processed through the digestive system. Experience the effects of ingested cannabis could take quite some time – anywhere from 30 minutes to four hours. A lot of people like to make tinctures more enjoyable. Fortunately, it is possible to seamlessly add them into food or drinks. Drop as much as needed into a meal, snack or beverage. Like to tongue method, using tinctures on food means that the digestive system has to process the THC. Consequently, the effects will be slow to start. When purchasing tinctures, pay attention to the bottle. Smart manufacturers know that tinctures are best stored in dark, glass bottles. Light causes cannabinoids to deteriorate and plastic bottles do not work well with the alcohol base. THC tinctures are flexible and easy to use, but those are only two of many reasons people should try them. 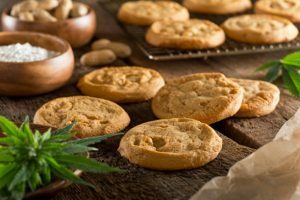 Unlike other edibles, tinctures offer the sublingual method for quicker results. Better still, the effects last much longer when taken this way, compared to other oral methods. In some cases, tinctures might work faster than regular edibles, regardless of intake technique; however, this all depends on the product. Tinctures and oils do share some similarities. Users can carry them around discreetly in their small bottles; however, tinctures win the day because they are odorless. When it comes to medical or recreational use, discretion is key. While bottles do a good job of containing aroma, this will not help if the mixture spills onto a table, desk, floor or carpet. Fortunately, tincture owners will have little to worry about – aside from a brief cleanup. THC tinctures are easy to dose, unlike some other edibles. Because people take them using eyedroppers, they can start low and work their way up incrementally to find the perfect balance. This is definitely not possible with cannabis herbs, foods or drinks. While prices vary between Canadian online dispensaries (just like any product), tinctures are fairly inexpensive for what they provide. Most people only need three or four drops to experience an effect, yet THC tinctures typically provide 100 drops for about $20. THC tinctures are impressive and work well, but there are some things to consider before using them. At their core, tinctures are edibles. Consequently, they carry the same disadvantages. Tinctures may work quickly compared to other edibles, but they still do take time to work. Unfortunately for those who do not like smoking, dry herb is the fastest delivery method. People who use tinctures should anticipate when they will need or want to be high, timing their doses accordingly. Tinctures do not offer the same hit that other methods do. 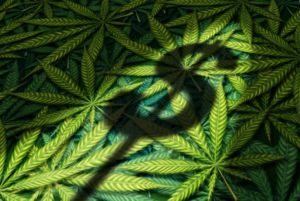 This can be a problem for pain patients – who compose a large portion of the tincture market. Individuals with severe discomfort might not find the high to be strong enough, even though it lasts long. Fortunately, it is physically impossible to overdose on cannabis. The amount needed is astronomically high in a very short period of time; however, taking too much oral cannabis can lead to an unpleasant experience. A major advantage to smoking is that its instant effects make it easy to stop when users know they’ve hit their limit. The delayed effect of edibles makes this difficult. Worse still, some could become impatient and take more before the previous does have a chance to take effect. Being too high is not fun. Severe dizziness, paranoia and even vomiting (“greening out”) could occur.